Save an Additional $1,000 OFF Your RV Purchase! Click to see a list of 2017 Class C’s Starting Under $43,000! Click to see A list of our Class A’s – 2016’s starting at under $60,000! You will save $1,000 off the purchase price of your Class A or Class C motorhome. Buying a 1 or 2 year old motorhome allows you to avoid paying for the huge amount of initial depreciation a motorhome experiences during these first couple of years. If you buy one of our expertly maintained & cared for motorhomes you will get all the luxury and ammenities of these newer model motorhomes and still save a fortune off the price of buying one brand new. On top of that we are offering a new RV Sale Show Special until January 31st, 2019 that lets you save an additional $1,000 off our already deeply discounted prices. 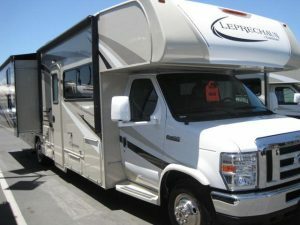 Come visit one of our stores and see why you can’t beat the value these beautiful motorhomes offers. 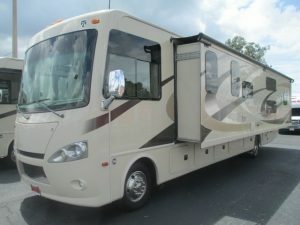 ** Offer only good on the purchase of 1 motorhome. Some restrictions may apply.